I never write about menswear on my blog... mostly because the BF isn't a huge fan and as a result I stay away from the topic. However, when I was approached to post an article on my blog about men's trends for summer, I thought it'd be a great idea. Who knows, maybe the BF will read this and be inspired. Men's Clothing: What's Hot This Summer? Graphic prints are super cool, and look great worn on casual nights out with dark denims. 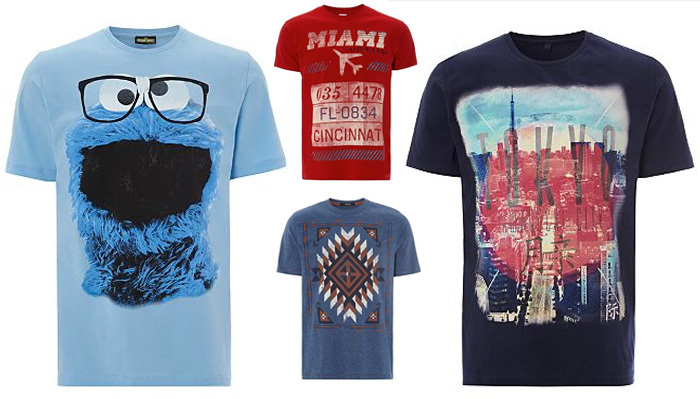 Choose from a great range of men’s t-shirts with graphic prints at George at Asda, including the Space, City and Photo prints. Add chunky boots or leather sandals, depending on whether the weather plays ball, and a battered leather biker jacket. 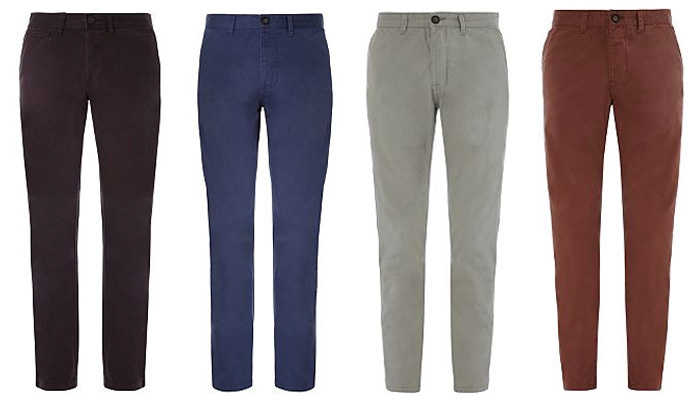 Chinos are a big fashion story this year – both in trouser and shorts form. Forget last year’s brights and keep colours muted with browns, blues and even plum and burgundy shades, for a fashion forward look. 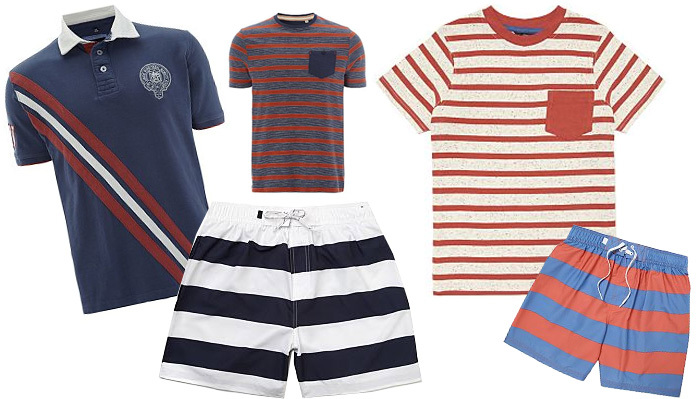 The nautical trend is showing no signs of disappearing anytime soon, so add to your collection of last year’s nautical but nice tees with the George navy and white marl Striped Y-Neck T-Shirt. Add navy chinos and suede boat shoes for a top to toe nautical look that’s great for days out, holidays and beer gardens! Aztec and tribal prints are big news, as they tap into the graphic print trend but with a twist. 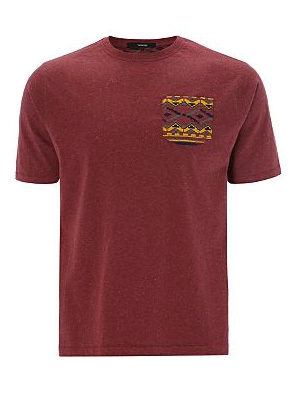 Go bold with a full on tribal print or go for a subtle touch with the Aztec Pocket T-Shirt. Both are just £6 at either Asda online or instore, so you can add to your trendy tee’s collection for just a few pounds. You’ll also find fine knits with tribal stripe detailing at the same price! This trend begs to be worn with skinny jeans, exposed ankles and pumps for a fashion forward look. Even in the height of summer, or on your summer holiday, you’re likely to need to keep some knitwear handy for the evenings and cooler days. Patches are big news in knitwear, so look out for elbow and shoulder patches in leather-look, suede, cord or another contrasting fabric or colour. Muted shades such as burgundy, navy and brown work well with this look. Wear with chinos or jeans and the hat of the season – the flat cap! 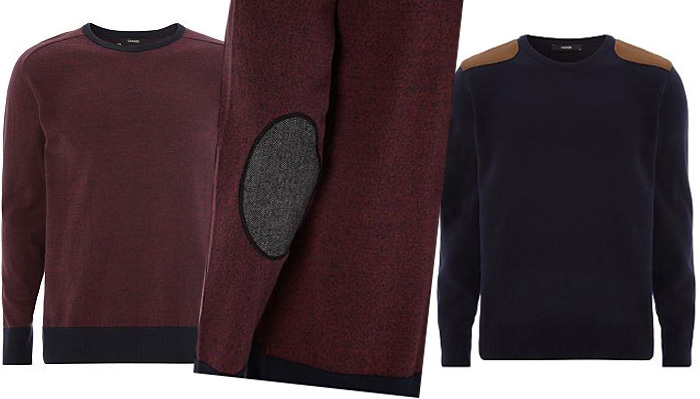 Marl is a great way to add a trendy textured look to clothes. 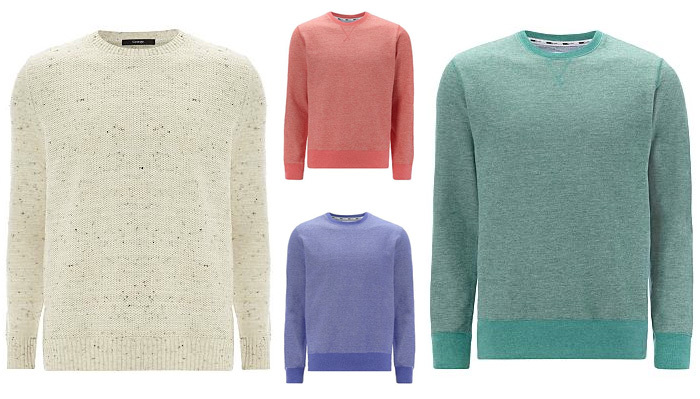 Look for sweatshirts, hoodies and knits in marl for relaxed style. Grey is a popular colour, but other muted shades also work well. Throw on over this season’s graphic tees for a cool, easy summer style. The colour block trend has gone one step further with colour blocking being seen on individual garments. 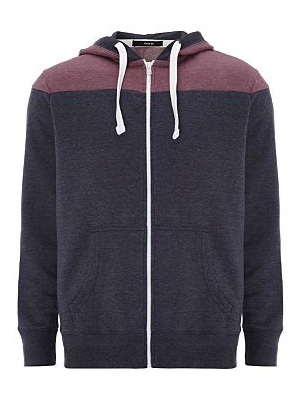 For example, a hoody with colour blocking across the chest and shoulders. Stick to items in contrasting rather than clashing shades for a relaxed look that’s easy on the eye. If you need to give your wardrobe a going over, that should be enough for you to be going on with. There’s no need to spend a fortune. Work your favourite new season hot trends into your existing outfits for a super stylish look on a supermarket budget! All collages were created by me!